Creating groups or communities around the products and services you sell makes members feel exclusive and provides an area where they can get additional help and training from you. 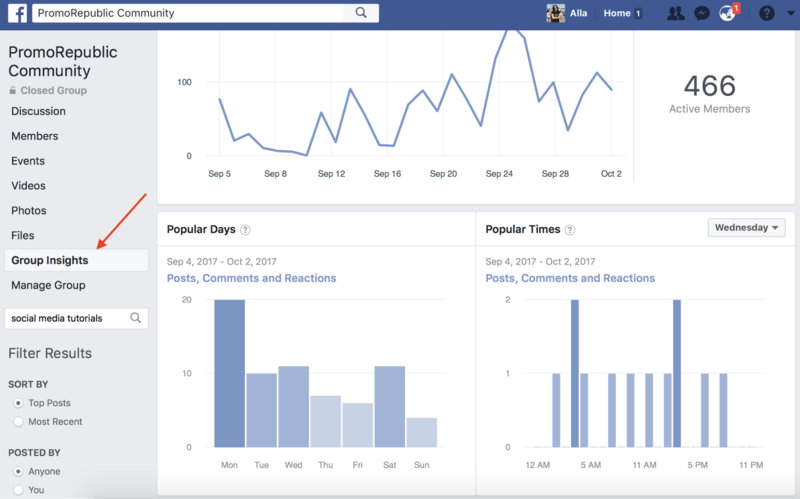 Read this beginner’s guide: How to Run a Community on Facebook as an intro to this post. 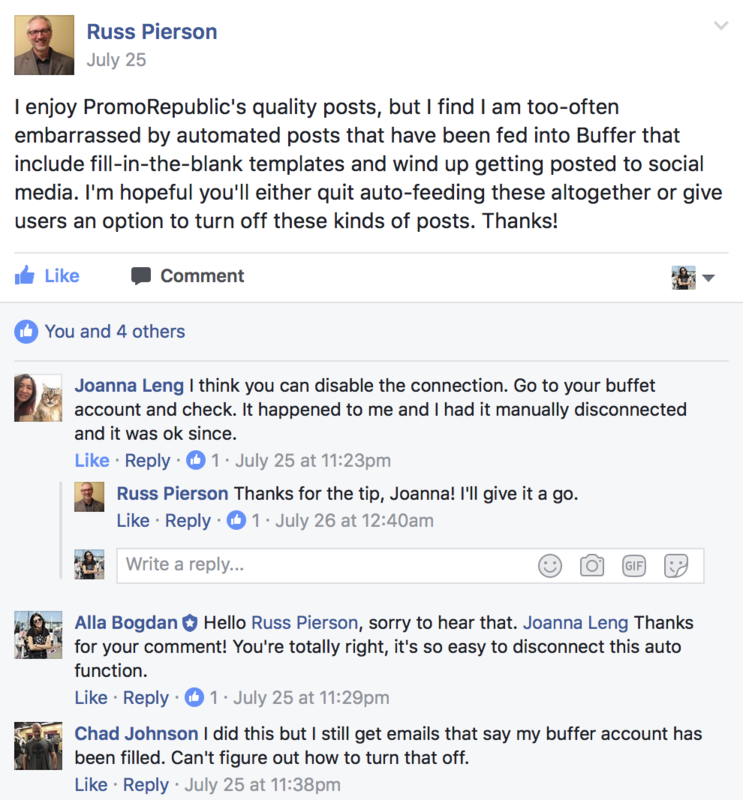 Facebook groups are not promotional and any overly promotional post is usually banned by administrators. If you are a beauty salon, for example, you can run a group (invite followers from your business page) and discuss different topics that may be of interest to your customers. Groups provide real-time threads for discussions, no promotion is relevant to them. You will be unfollowed right away as they want to see real and relevant e posts by real people. A Facebook group brings people together who share a common interest. It’s very easy to navigate through a group searching for a needed topic. We registered our page with forums and created “Community Pages” on our group page before, and now we engage customers in a Facebook group. The mission of your group or community should be clear. When I established PromoRepublic Community, it was supposed to be a resource for its users where they can ask questions about the tool, be first to see recent product updates, vote for the features they want to see in our interface, and beneficial and unique educational materials available only for community members. It’s always nice to see how our users turn into brand advocates: sometimes I see a question published in a group that already has several answers from other group members! When new members see how loyal clients supported a small business, mid-sized business or large business…well- it really builds a brand. Who will post? When to Post? What to Post in a Group? Your group should be managed by one person: one social media savvy individual who communicates with members of the group. When members ask questions, they should go to someone who has built trust. Doing this, you establish your authority and trust to you as an influencer. Ideally, the owner or manager of the company is ideal, since they are close to the brand and understand it. Don’t be afraid to show your face and get closer to people who you’ll be talking to every day. If you’ve managed a group for a while, go to the Group Insights and check out your best days and hours. According to my stats, my best days and hours are Monday, Tuesday, Wednesday and Saturday early mornings and evenings. If you are just starting out, I recommend you post regularly — like once a day — for followers to get used to your posts. If you’re posting more – you will annoy them and provoke negative action — like unfollowing. 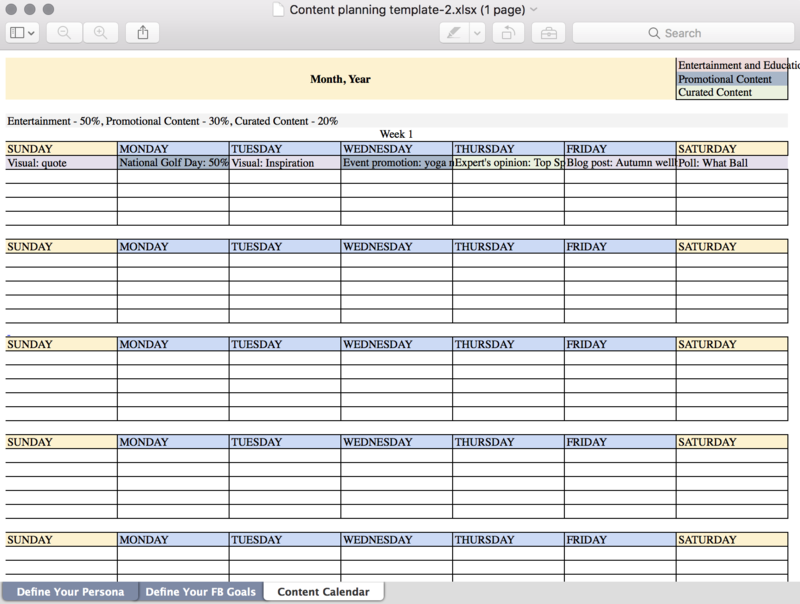 Create a content planning template or simply download the one I use: Content Planning Templates. Try posting different content but avoid fluffy promotional content – there’s no place for promotional posts in a group (they are far too exclusive and niche) – mail outs, Facebook business pages – use them to promote and monetize. Groups and Communities are for trust and free thought leadership only. 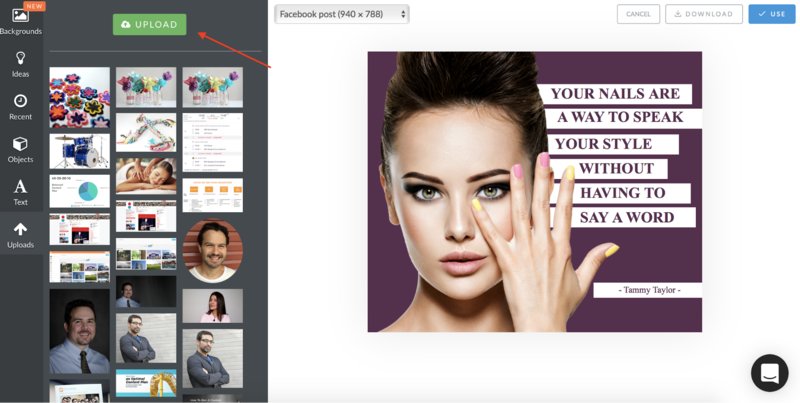 Yes, you should tell the world about great updates or how many people have attended your webinars so far, but avoid money-related posts (have you noticed that there is no “boost post” button in groups? This is what I’m talking about. You, as a small business owner, rarely have time to manage groups on your own: post ideas, design, copy, comments etc. Try posting ready-to-go templates crafted for your industry by PromoRepublic. Seriously, it would take so much time to create your own visual and relevant posts. Imagine that I’m the owner of a beauty salon and created a Facebook community for my loyal clients. Enter our educational and engaging content! Here it is: The educational posts: twice a week, engaging posts: twice a week, promotional posts: once a week. I do not post on weekends – give them some rest from you. Easy, yeah? 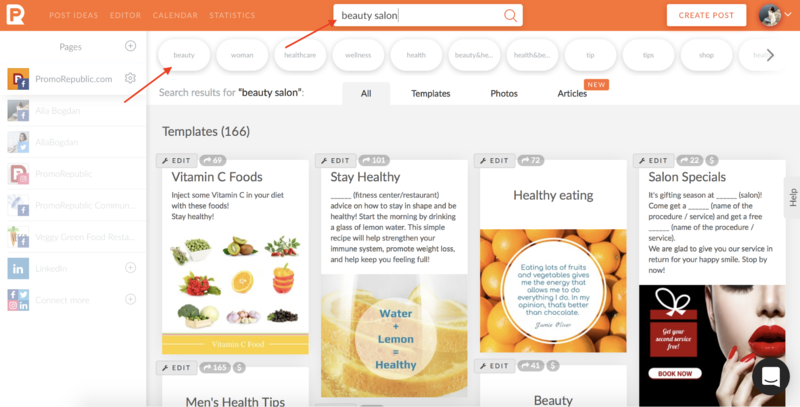 I go to PromoRepublic’s Post Ideas and put the keyword “beauty salon” in the search bar. Now I can see templates (pre-made posts), photos (backgrounds), and articles (curated posts) for my industry. You can also use related tags (below the search bar) to see more content. Scroll down and see hundreds of professional posts with copies and visuals. 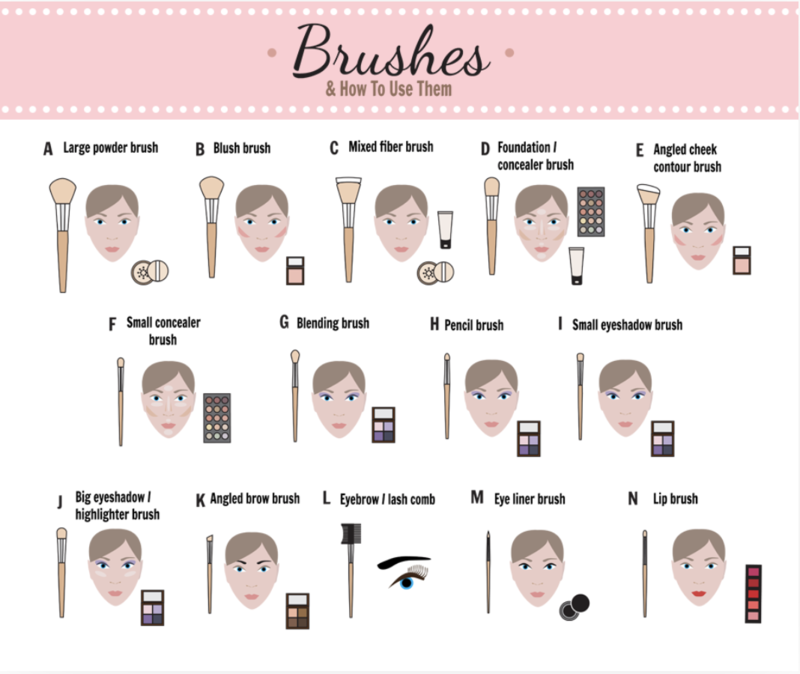 This infographic-style image gives a beauty buff an overview of how to use different brushes – great for any high-end beauty salon or spa. Posting educational content can give users great content that will lead to fantastic engagement. Polls are great to comment on. 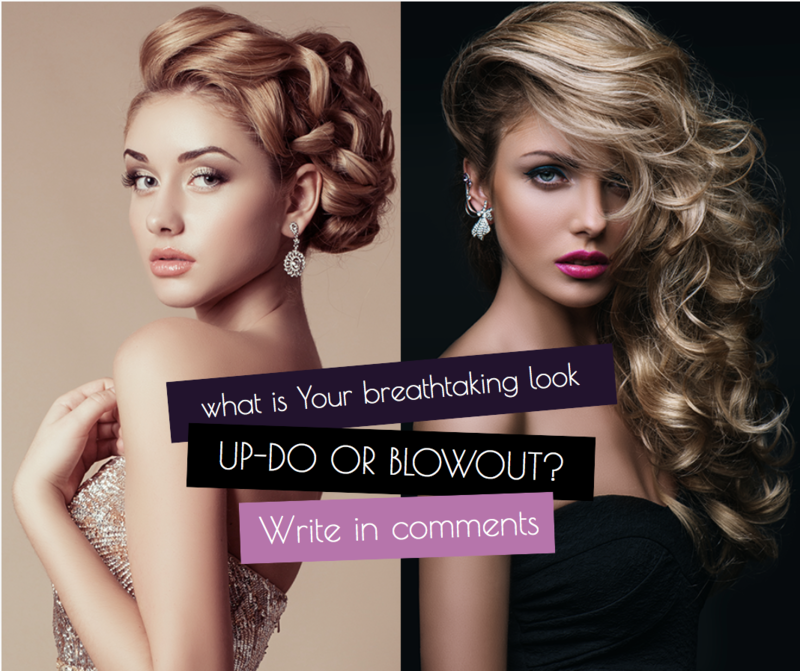 When you lack engagement, don’t forget to ASK fans and followers to leave their comments: better to ask visually. And now, with Instagram Stories, you can poll people with real time results! Take a screenshot of that and share it with your Facebook group. You can upload any picture or logo and create your own post or customize any other from the library. Choose a quote that will inspire and please your social audience. Pay attention to the people in your Facebook group and post content that resonates with them. They took the trouble to join your group, so they are the very definition of a target audience. This is a way to treat your fans and followers to a special deal – something that only they can leverage to make their lives easier. 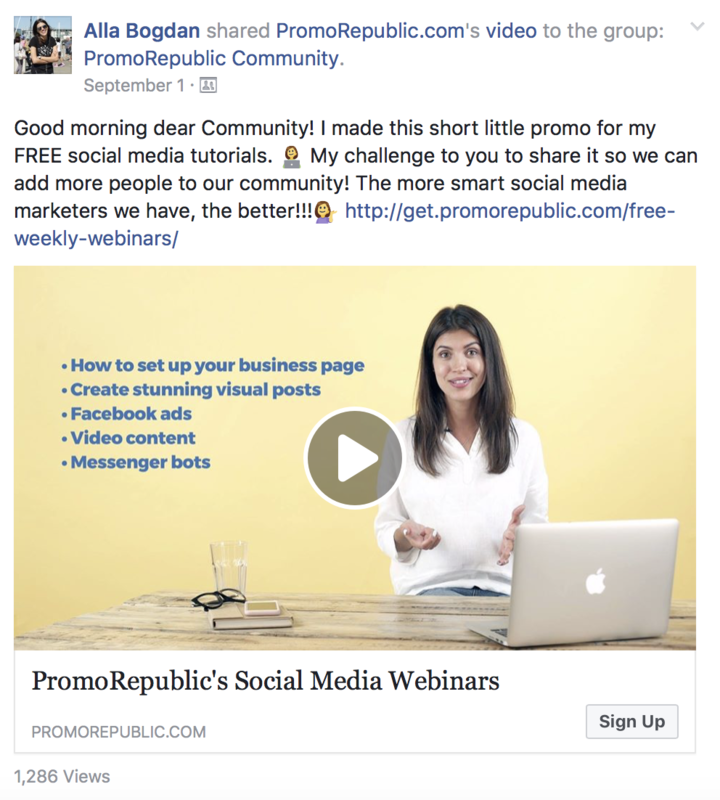 When you have a Facebook group, don’t treat them like a captive audience. Bombarding them with promotion after promotion, with no substantive content, is the fastest way to lose them. Get to know them, have conversations with them, then offer promotions that matter to them. 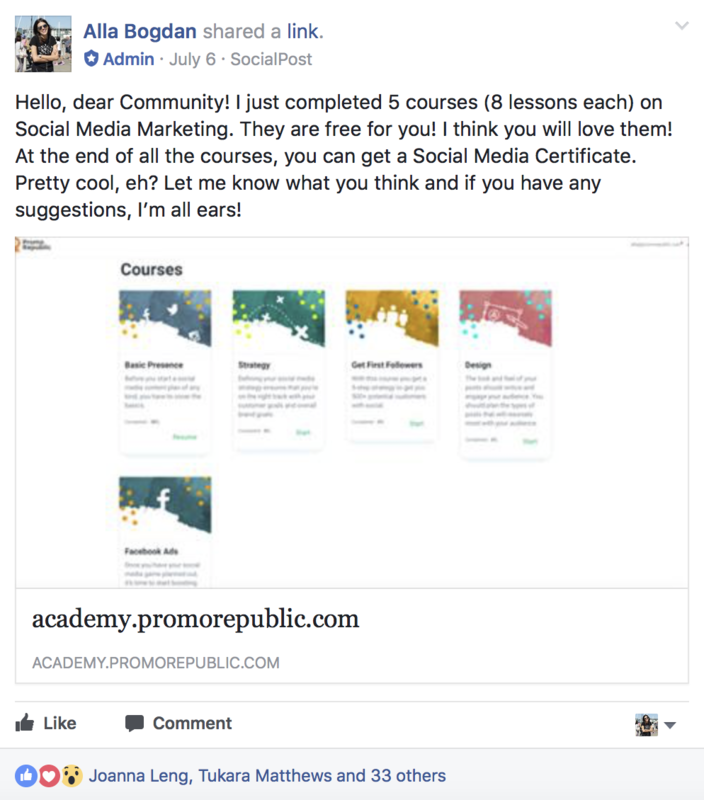 As the moderator or admin of a Facebook group, it’s your responsibility to get to know your audience and to post content that they want to see. 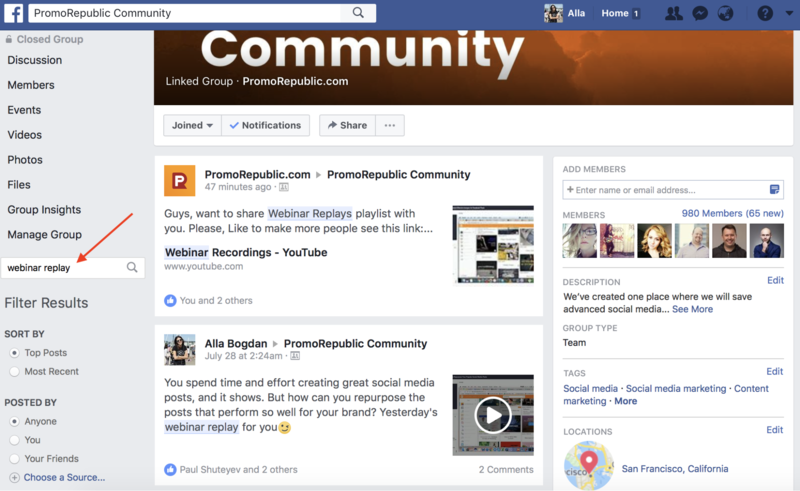 PromoRepublic makes that so easy for you, because we have content geared toward a multitude of industries. Just set it and make sure you respond to the many people who will engage with your posts!